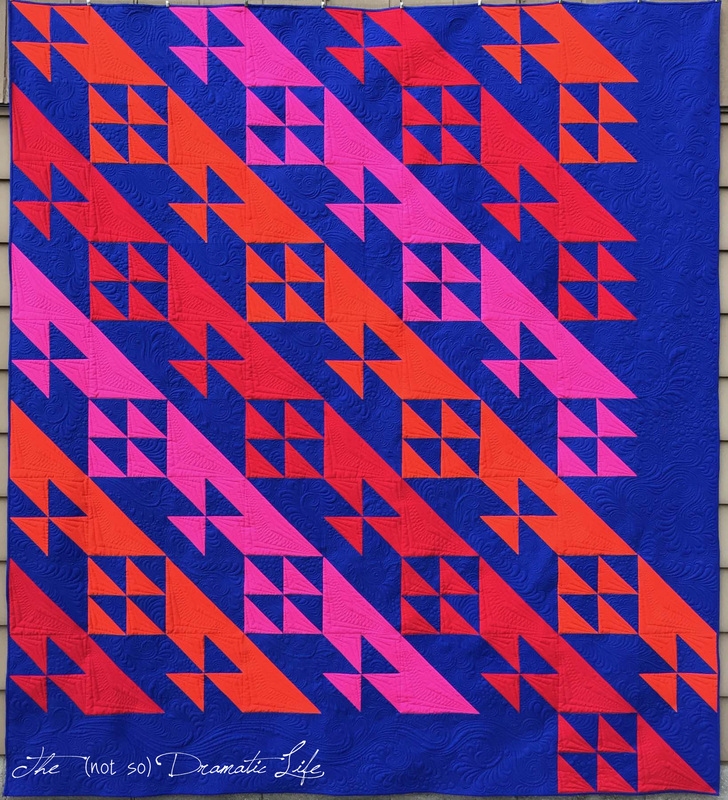 I made a pretty quilt! 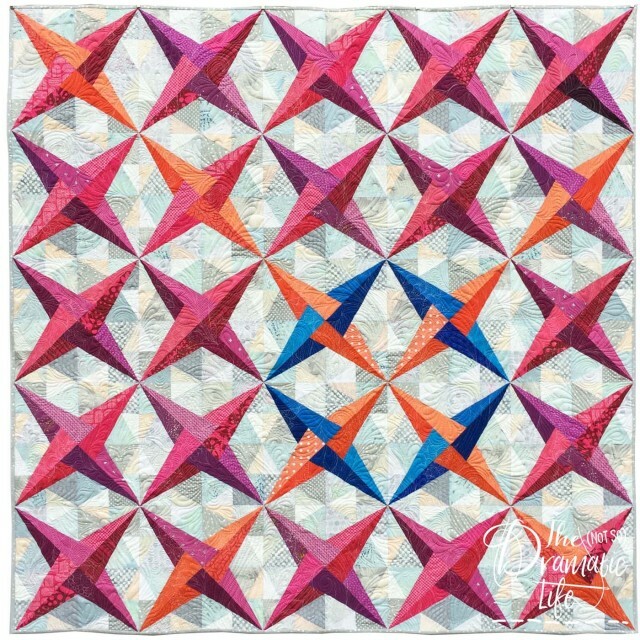 I very rarely make a quilt that I would call “pretty”- typically I describe my work with terms like graphic, clean, dynamic, or vivid. 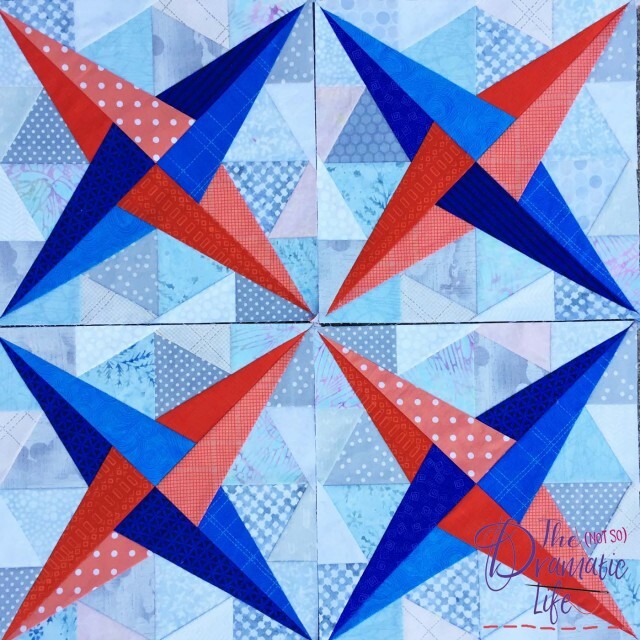 Raise the Roof is an exception to this trend. Inspiration for Raise the Roof came from the architecture of the Horticulture Building on the grounds of the Ohio State Fair. 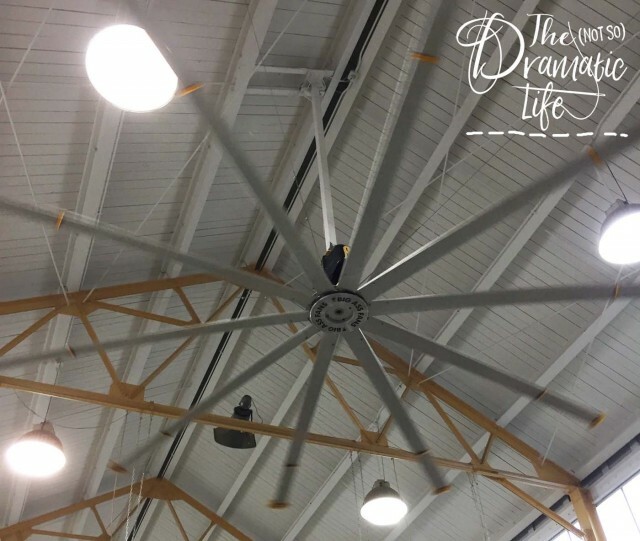 The low volume background of the blocks echos the design of the rafters of the building, and the central stars are an abstract representation of the over-sized ceiling fans. 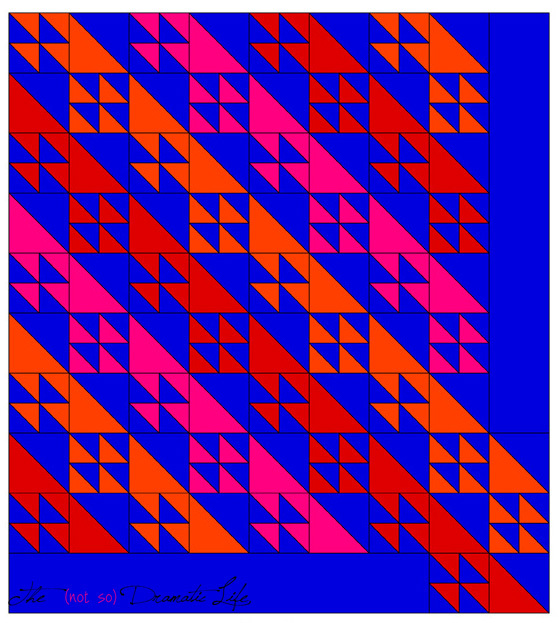 The pink, violet, and orange blocks appear to spin around the focal blocks in blue and orange. Value plays a huge role in the design of the quilt blocks. 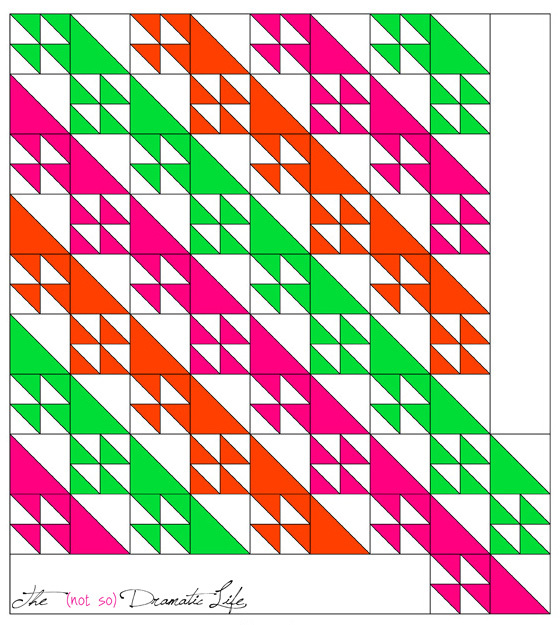 The colors in the low volume background triangles have the same placement in each block segment, but the brightly colored star tips change depending on the block placement. Intentional placement of a dark and light version of each color on every point creates a three dimensional look. After creating a few sample blocks, I decided to submit the design to Modern Patchwork. 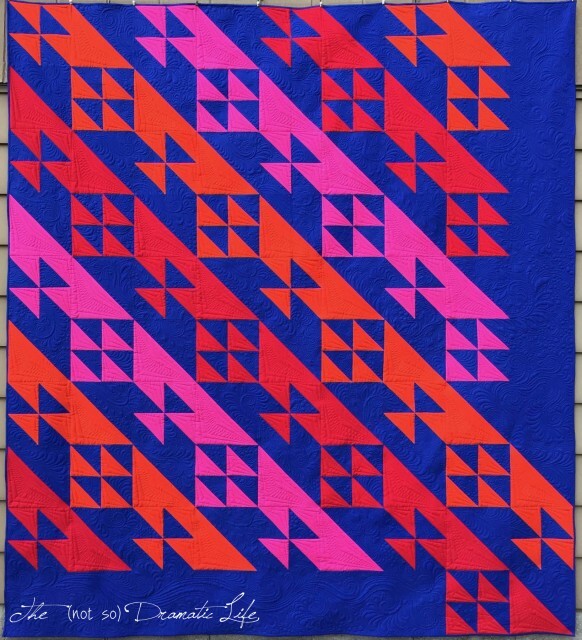 I was thrilled to have it accepted, and quickly finished the top. 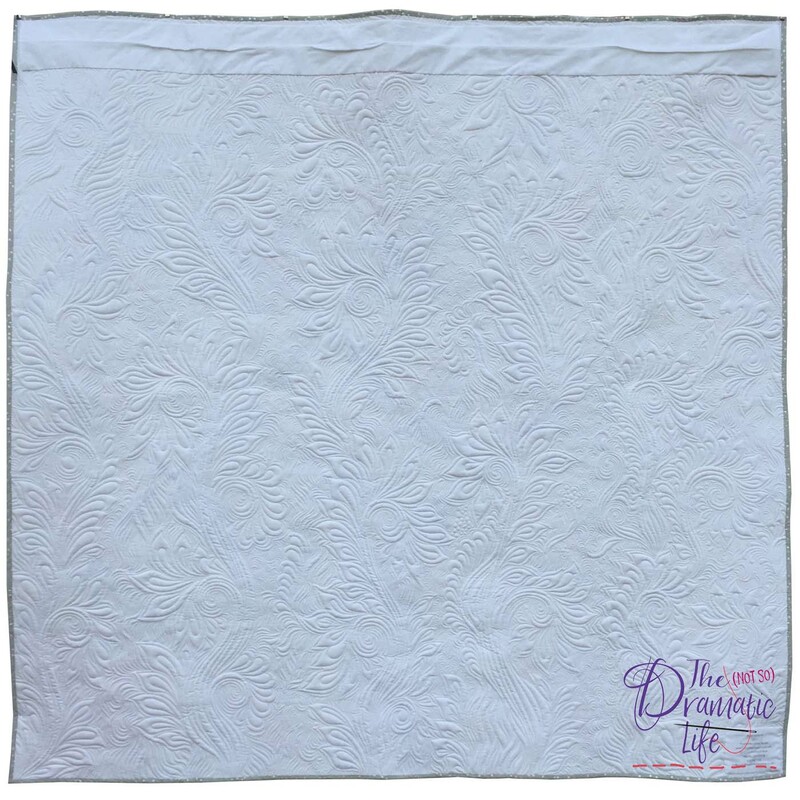 For the quilting design, I chose an all-over organic free motion design with a botanical flavor. 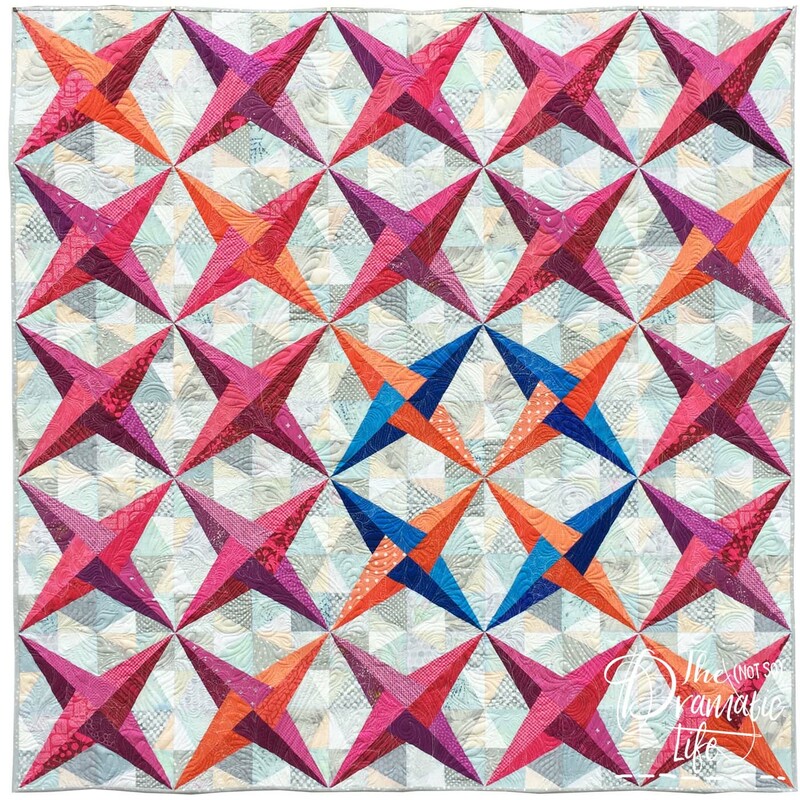 The juxtaposition of the organic quilting lines on the regimented, foundation paper pieced quilt top reminds me of the relationship between the beautiful floral displays against the architecture of the building. 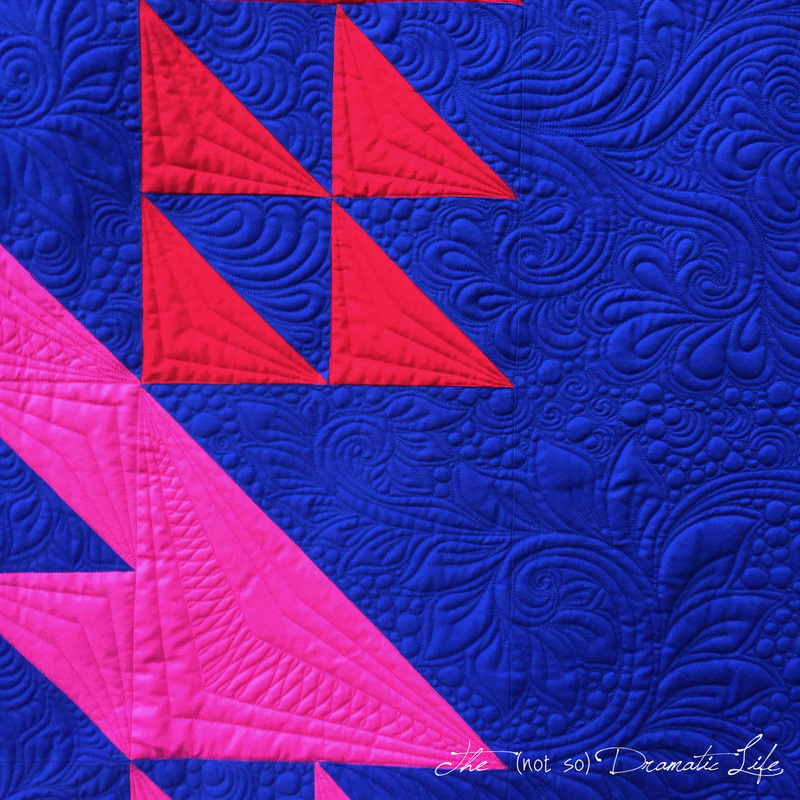 To make the quilting stand out even more, I used double batting for the first time. The top layer is a yummy Hobbs Tuscany Wool, and the bottom layer is Hobbs 80/20. To top it all off, this quilt made the cover of the magazine! 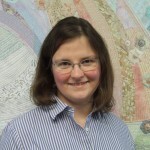 This is a first for me, and I am over the moon! 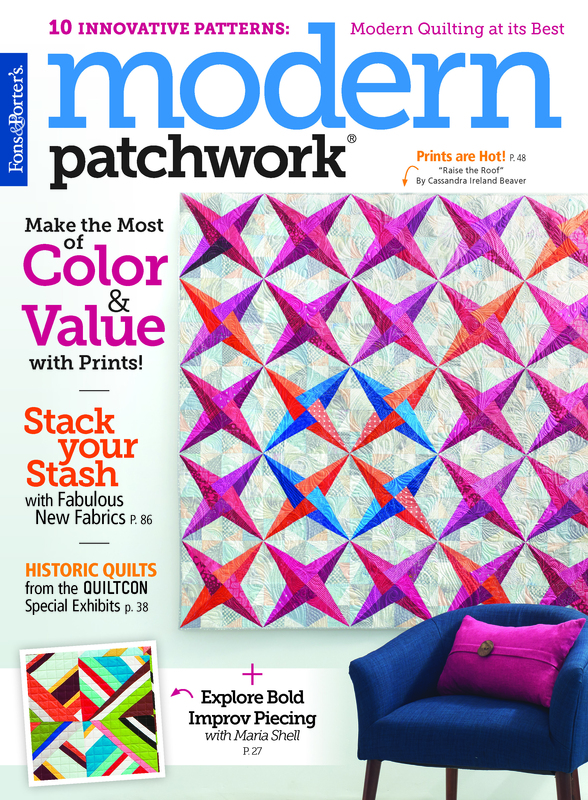 You can get your very own copy of the March/April Modern patchwork here! Binding: Cotton and Steel grey and silver dot bias binding, machine stitched to the front, hand finished on the back. 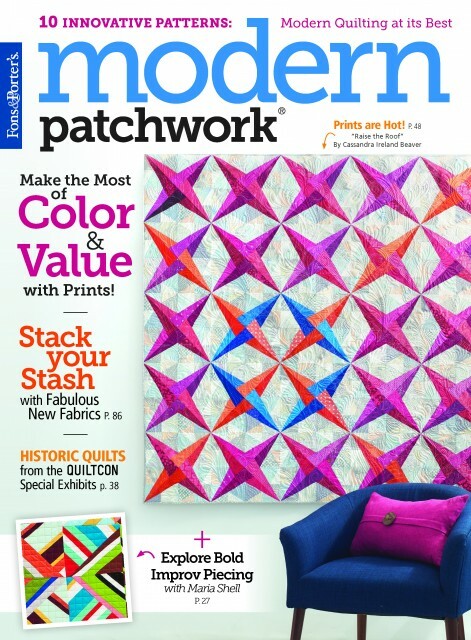 “Raise the Roof” has made the cover of the March/April Issue of Modern Patchwork! 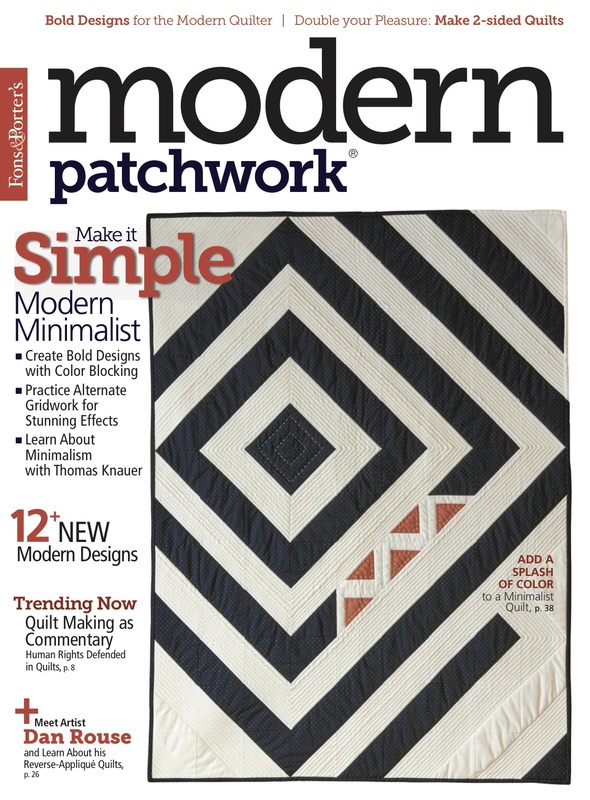 This is the first time I have had a quilt make a magazine cover, so I am ecstatic! 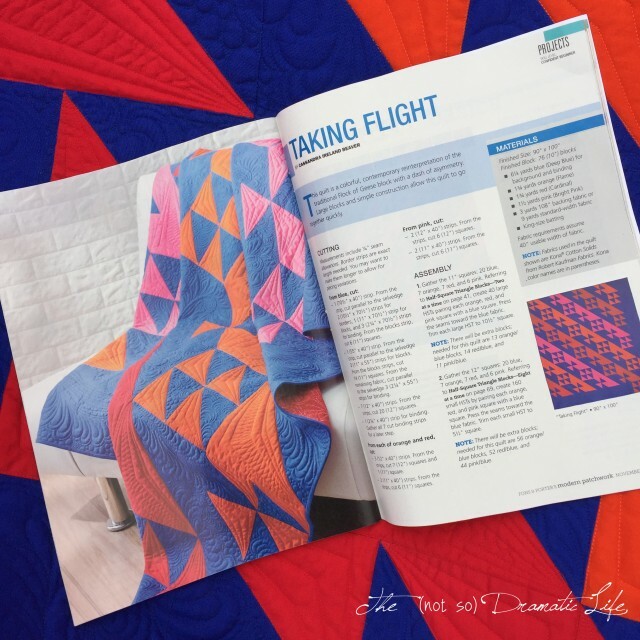 I will be sharing more about this quilt closer to the magazine release date, February 27, 2018. 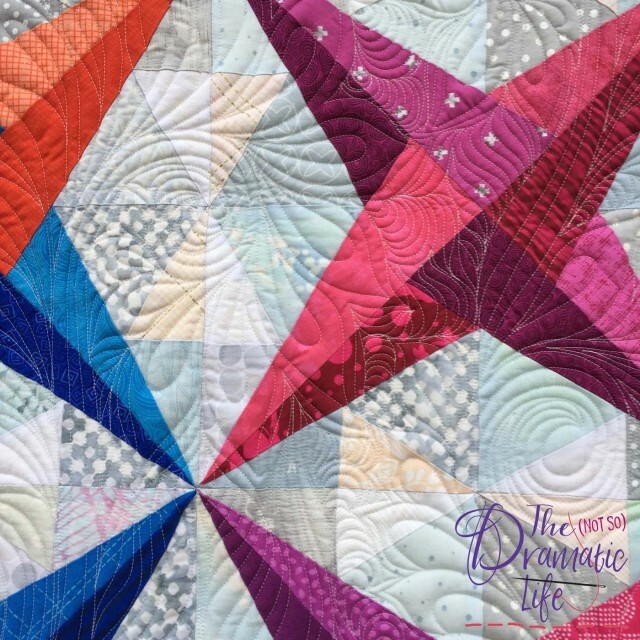 You will be able to get your copy from The Quilting Company.